With the advent of AI and cognitive automation at a rapid pace, there has been a holistic approach to insurance automation. Automation and IoT are already a reality for insurance. As per reports, AI in insurance reduces premium costs up to 25% while automation can help cut the claim processing cost by 30%. Innovation and technology are the next frontiers in insurance. As many insurers have set out on a journey of smart insurance it has expanded their reach into more ecosystems than ever before. 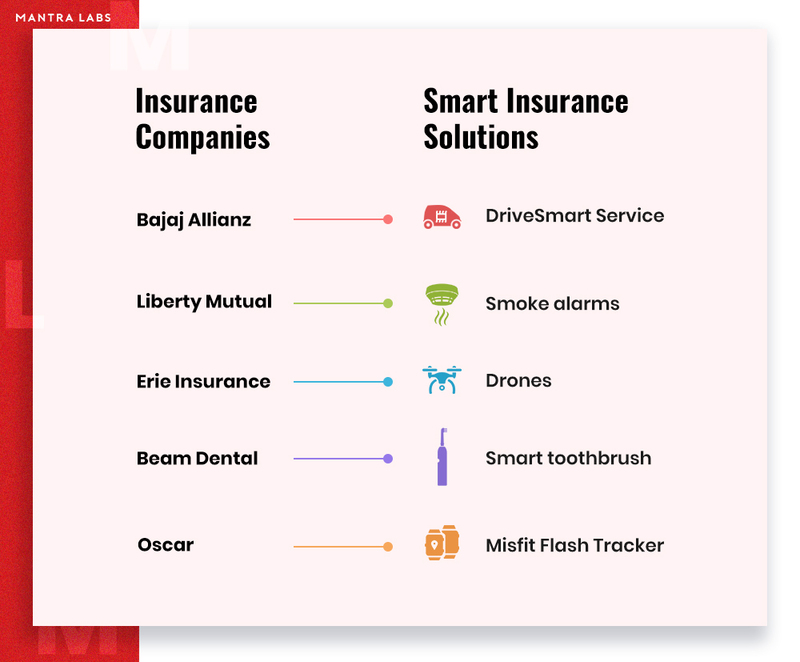 The DriveSmart Service by Bajaj Allianz- a car insurance company, is an implementation of IOT in insurance. The service monitors the car through a vehicle tracking device and provides relevant diagnostics data of the car driving performance. The data derived not only helps in insurance claims but also aims at safer driving and lowered fuel costs. The Global wearable fitness tracker (Fitbit) market was valued at $17,807 million in 2017 and is expected to increase at a CAGR of 19.2% by 2023 to value at $62,124 million. Fitbit for insurance marks the beginning of the revolution in the healthcare insurance industry. Several other such intelligent medical devices are underway to follow up. Changes in the demographics, technology and business models have opened up a plethora of opportunities for the insurance industry. 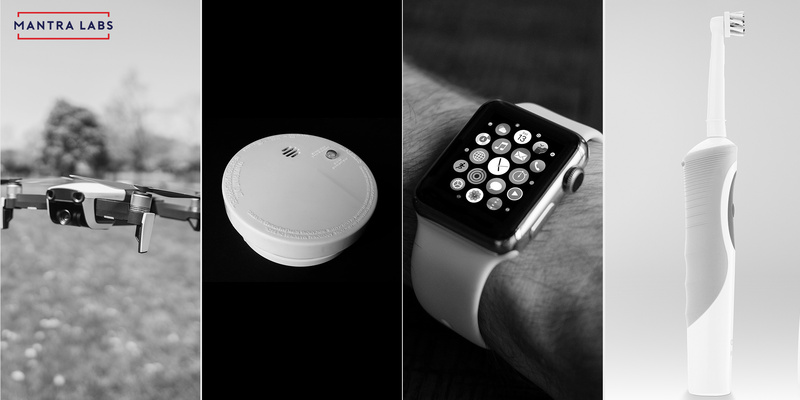 Let us have a look at some of the smart devices that are contributing to smarter insurances. Liberty Mutual: Liberty mutual is in partnership with Google’s nest to install smoke alarms in the house. It reduces the risk of fire and at the same time offers lesser premiums. It is an excellent example of IOT in insurance where insurers are taking help of smart devices to design their premium plans. Such insurance not just gauges the loss but at the same time acts as a precautionary measure to prevent the damage. Erie Insurance: The big dream of using drones for property inspection was realized by Erie insurance. They claim to be the first in the market to take the permission of the Federal Aviation Administration (FAA) to use drones for commercial purposes. Reports suggest that each year 377 million workers are injured during their work hours and real-time data can be helpful to create better safety guidelines and assess risk. Drones are of great help when it comes to inspection of endangered areas where human reach is troublesome and risky. They not only help with faster claims processing but also in risk assessment. Beam Dental: A dental insurance company that provides customers with a smart toothbrush to assess their oral health. Based on this information they craft their dental insurance premium plans. Oscar: A health insurance company that has partnered with Misfit and is providing its customer with a Misfit flash tracker to help them get fit. Each customer receives a $20 Amazon credit if they can achieve their present goals. Insurance is at its highest levels of penetration of 3.49%, with revenues from premiums expected to touch US$280 B by FY2020. The opportunities are clear for the emerging market. Mantra Labs is an AI First InsurTech Products and Solutions Firm working with the largest Insurance companies in India & the World. We help in tapping the potential of the existing workforce and combining it with the emerging smart technology, to leverage the smart insurance industry.